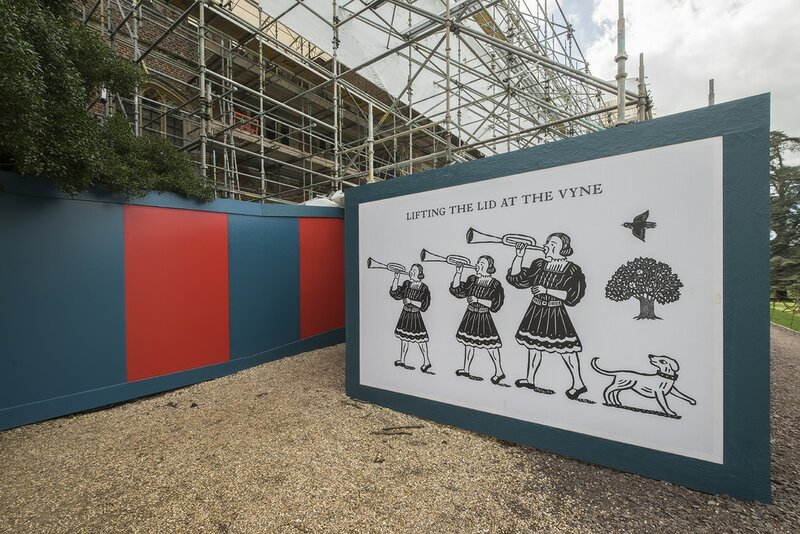 The National Trust's 'Lifting the Lid' project at The Vyne has been recognised with two prestigious heritage awards from the Association for Heritage Interpretation (AHI). The £5.4 million scheme saved the roof of a former Tudor 'power house' in Hampshire. The newly opened rooftop allows visitors an all-access 360° walkway with views of the Vyne's rooftops. Protected from the elements by a huge, metal and shrink-wrap shell, panaoramic views are offered across the estate where visitors can discover how new technology and centuries-old practices are working together to repair its leaking roof and crumbling chimneys. The National Trust worked with Skellon Studio to install a bespoke exhibition across the ground floor, the roof and throughout the landscape. Sysco worked with Scena and Centre Screen to deliver audiovisual displays as part of the new interpretation and displays, which tell the story of the building and share the history of the site. The Vyne won the AHI's highest accolade Award for Excellence in Interpretation as well as winning best in category, securing the Museum and Historic Properties and Sites Award.